Hull #439. 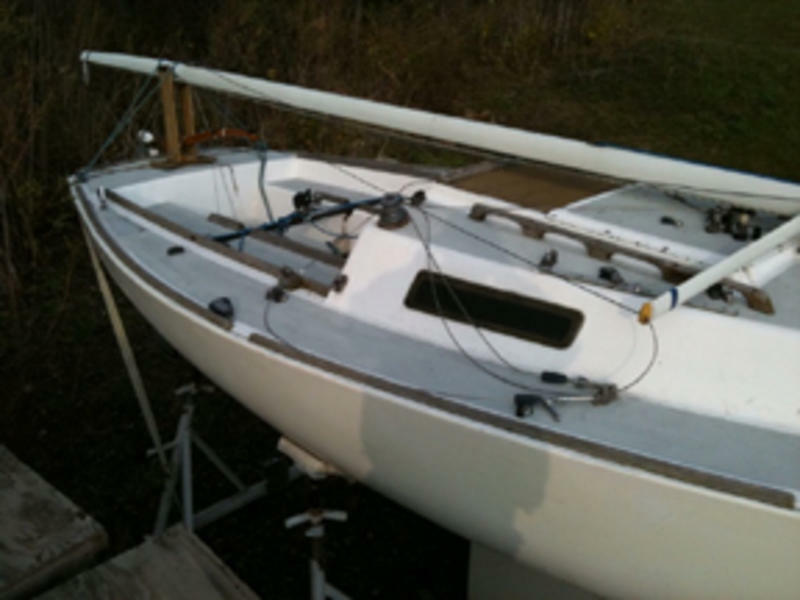 Excellent, race-ready condition. 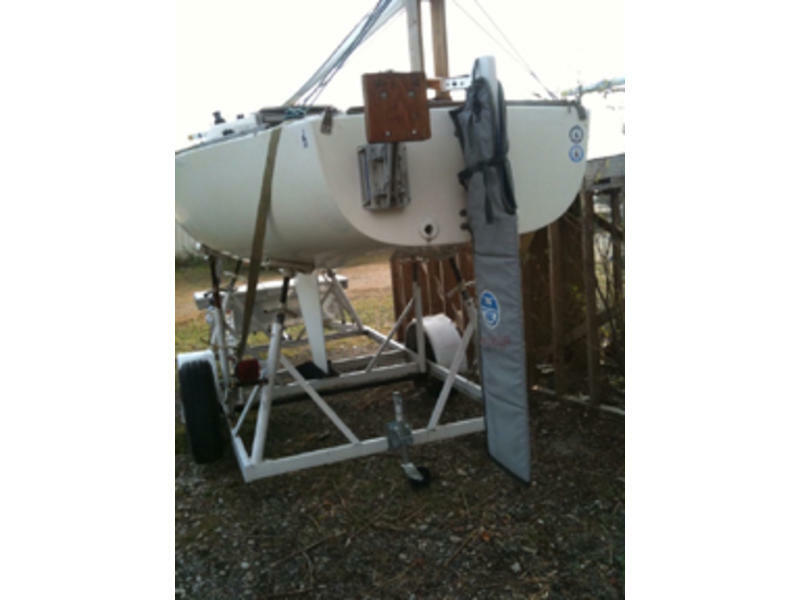 Professionally faired foils, custom rudder cover, new halyards/running rigging. Measurement certificate from 2008 J22 Worlds. Minimum weight; dry. Four sets of sails: 2 racing (North), 2 practice/cruising. 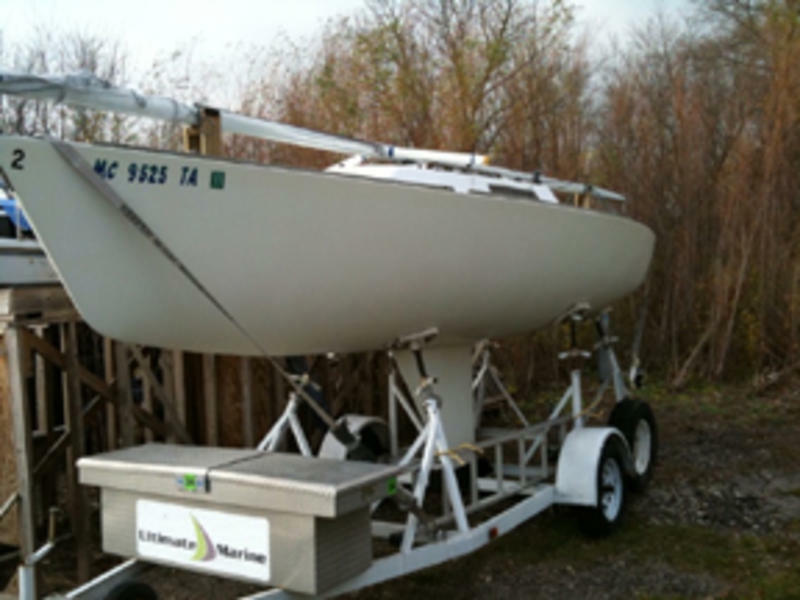 custom jib cunningham system, custom 2-position mainsheet traveler system, custom internal lifting eye system. Trailer with storage box.